The post where I realize I am slacking (no offense Fallon! ), decide to pick myself up by the bootstraps and get my sh*t together. Also known as this post, this post, this post and this post. The post where I decide to start kicking a$$ and taking names. This post is a little different though. I have admitted to you, a few times, that I have been struggling lately… A LOT in fact. After getting injured at the San Diego Rock n’ Roll Half Marathon and then totally feeling like crap at the Napa to Sonoma Wine Country Half Marathon, I had forgotten what I felt like to actually feel strong during a race. Prior to running N2S, I emailed my coach and told her that I didn’t even know if I COULD run a half marathon. But it was the perfect example of how much in my own head I was. I was filled with so much doubt. I haven’t been working towards achieving anything since I smashed my sub 2 goal at the OC Half in May. Which, coincidentally, was the last time I actually felt good about how I was running. For the last 3 months, I have been floating. I know that I need to have goals to keep me in line, and help me stay focused. Why in the world would I think that I could or would feel successful when I was not actively working to achieve a goal?!?! 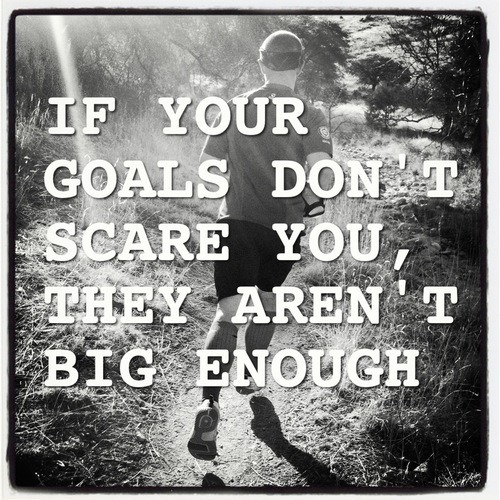 Both goals are definitely big and scary. I haven’t run a marathon since 2013 and the fastest half I have run is a 1:57. So they are definitely going to push me outside of my comfort zone…. It feels really good to say this out loud. It feels good to have goals again. It feels good to have something to work towards. Totally catchingn this now and WOOT FOR BIG GOALS! I can’t wait to see you a lot this fall! 🙂 CIM, SD Holiday… woot woot! I think we all go through those phases & have to kick ourselves in the pants once in a while. CIM is my next big race too! Good luck with your goals! Awesome! I look forward to running with you! Thank you Jane! And yes! I am looking forward to smashing these goals! I am running only my second marathon next month. I am hoping to get close to 4h. Main aim, however, is to get there and through it uninjured. Get going and start enjoying your training runs again, this is after all most of the running we do! My goal is to run 1/2 in September. But I’ve had injury after injury and can barely walk/run 4 miles. I don’t know what I was thinking signing up for this. 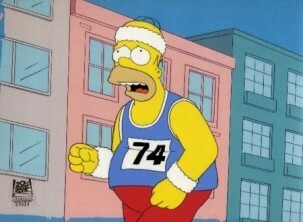 I’ve only done a few 5ks. I will keep trying to train but, I think I’m fooling myself. You can totally do it! Just take it slow and do it one mile at a time! You got this.